I did love the way this knife cut. It was smooth and made nice edges on my homemade bread, however it wasn't long until it started to rust. For what I paid for it, I felt I got my moneys worth. 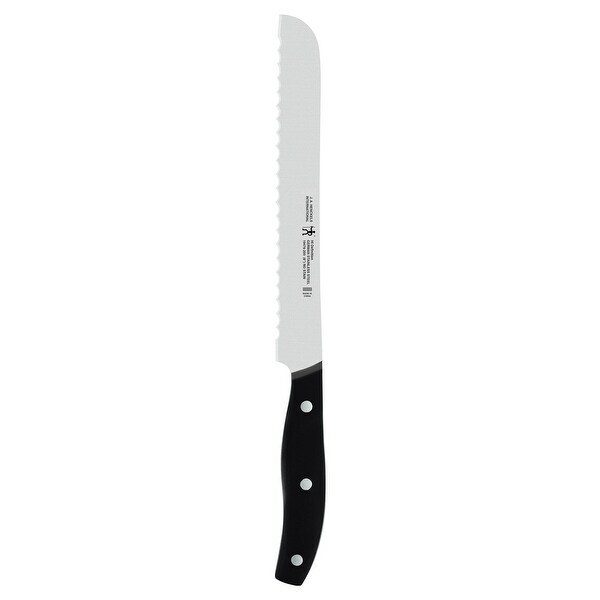 The Henckels International Definition 8" Bread Knife handily slices bread with ease. Honed for long-lasting sharpness, the strong, serrated blade cuts effortlessly through hard bread crusts. Enjoy neat slices of sourdough and cubes of Ciabatta thanks to the blade's aggressively long prongs. As always, with J. A. Henckels International, another high quality kitchen tool joins my collection. Never disappointed in these products!